Atox is a popular single tower model in the Explore universe because it spans a wide age group. 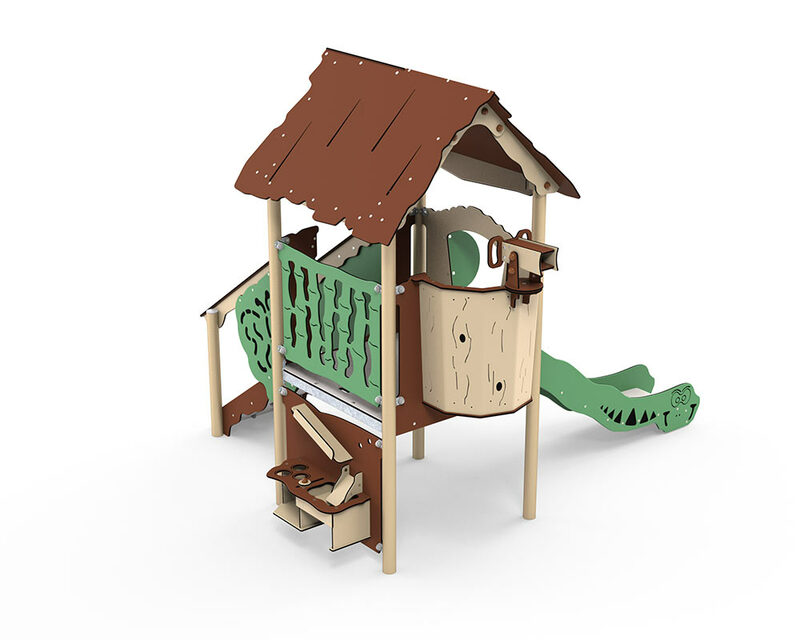 The non-slip steps make it possible for even two-year-olds to climb up into the tower and have a go on the fun slide. The tower also provides access to the crow’s nest, where the moveable telescope encourages role-playing – even over large distances. Atox has a floor height of 90 cm. The play system is designed with a roof, which gives children a sense of being in a hut and a playhouse. The roof protects them from the wind and weather, and shades them from the sun. At ground level is the kitchen, which is ideal for role-playing with imaginary pots and pans. What shall we bake? And when shall we eat?